Resumption of work for the Historic section of the Terra Sancta Museum: study of spaces and scenographic project. A new stage of work has just been completed for the Historic section of the Terra Sancta Museum at the Saint Saviour Convent in Jerusalem. 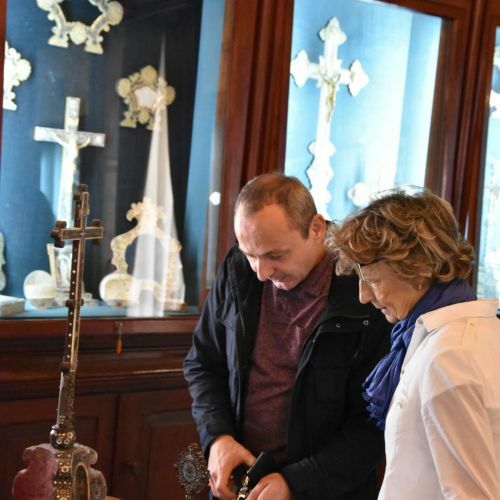 “The primary objective of these new meetings was to check the museum spaces in order to study the installation of the objects that will be exhibited,” said Mrs. Béatrix Saule, member of the scientific committee of the new museum that should open its doors in 2021, at the Custody of the Holy Land headquarters. Considering the environment, the pipes and the new surveys, in attendance of the scenographer Jérôme Dumoux and the architects Constance Heim de Balsac and Vincenzo Zuppardo (CTS), it was found that no structural element of the initial project had to be restored. 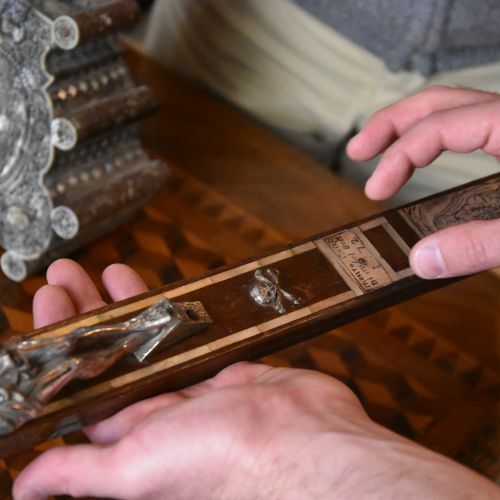 The moment concerning the study of certain objects to be included in the display cases – such as the Palestinian art of mother-of-pearl – was particularly interesting. 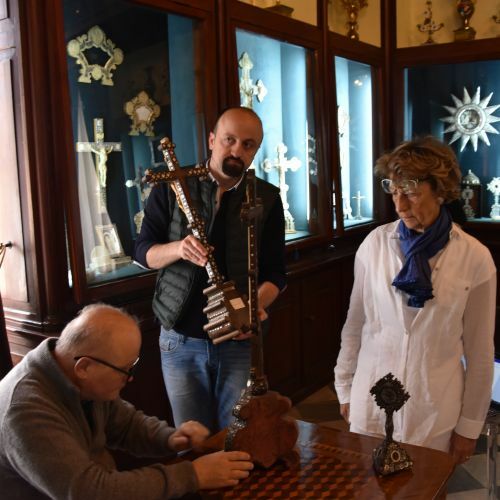 Thanks to the researcher and art collector of Bethlehem, George Al Ama, it was possible to identify the oldest and most beautiful objects in the collection of the Custody of the Holy Land, which had been saved thanks to the work of Father Bellarmino Bagatti in the 1950s. 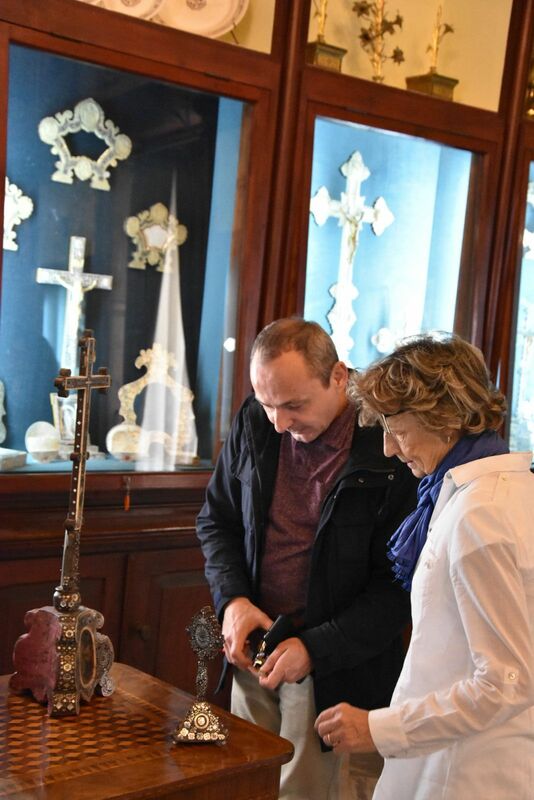 Among them, for example, are splendid crucifixes and prayer cards of the 17th and 18th centuries, which “show the high artistic quality and the importance of this production, unique in its kind and origin,” as noted by the art historian Jacques Charles-Gaffiot. 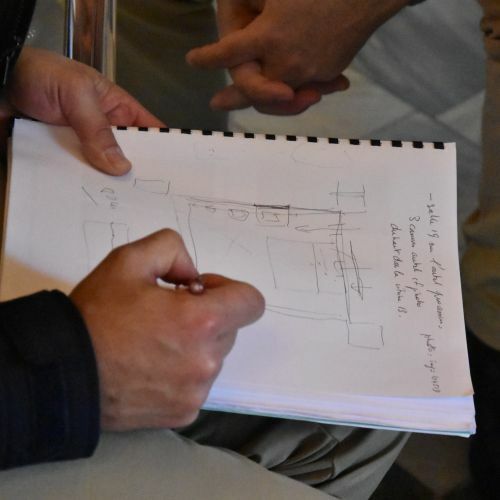 In attendance, the committee also worked on the archives of A. Barluzzi, for a selection of works (drawings, autograph sketches) of the famous Italian architect. This made it possible to specify more precisely the material which will be exposed in the room dedicated to the guard of the Holy Places. 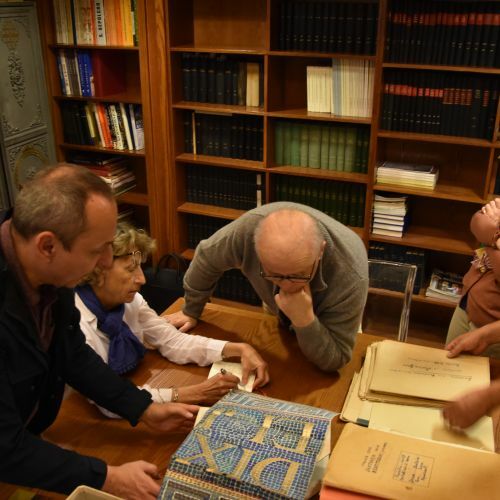 In addition, some valuable books from the library and the old Franciscan print shop have been discussed and will find their place in different rooms of the museum. “The decisive step will concern the final list of works that will be presented next June,” concluded Mrs. Saule, “it is at this point that the first stage of the museum project will end and we will move to the drafting of texts of the exhibition panels, necessary for understanding the great history of the Franciscans in the Holy Land and the link that unites them to the world for centuries “.